Take only Memories. Leave only Footprints. Thank You Very Kindly. click this link to Paypal. White Oak logs are on site for the beginning of rebuilding the Cragg Cabin. 39% of the $46,5000 needed has been received. We thank everyone for their assistance and concern. Tom Kaluzny recognized as "Volunteer of the Year 2018"
Click here to see the winners of the 2018 Photo Contest. 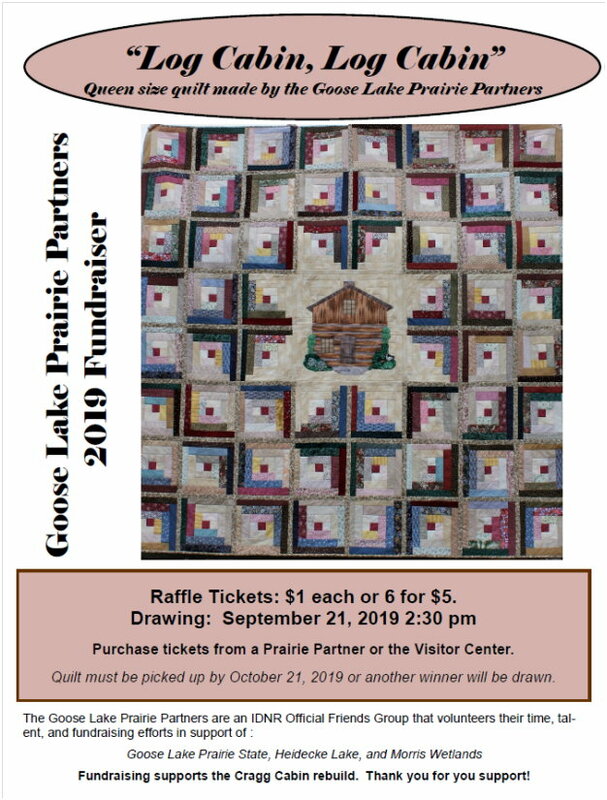 September 21st, 20189 Exelon Generation, our good neighbors at Dresden Station, is sponsor for this event. Gift Shop Hours 10 - 4 when VC is open. Begins April 1st to October 31. Audrey Cravens is the Office Coordinator at Goose Lake Prairie State Natural Area. Staff in the center may be called to another part of the park. If your visit is to the Center, you might call to be sure it is open. PDF files are used on this site. Obtain Adobe Reader Program, Download is free. To contact the Prairie Partner webmaster - Click here. The materials, including photos, found on this web site are the property of the Goose Lake Prairie Partners and should not be used for any commercial purpose without the written consent of the Goose Lake Prairie Partner Board. 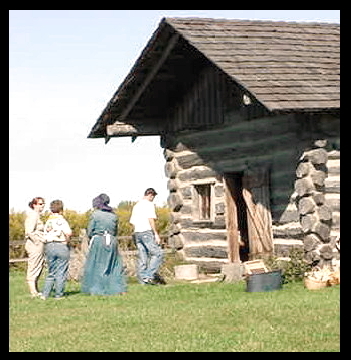 COPYWRITE 2018 Goose Lake Prairie Partnersbr> This web site is managed and maintained by the Goose Lake Prairie Partners; not the Illinois department of Natural Resources.